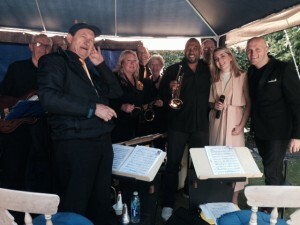 Sinatra to Buble, Marvin Gaye to Pharrell. Essentially, Andy is a modern-day jazz singer whose vocal range means he can sing just about everything from melodious Motown to cool swing and soul and the most beautiful ballads. 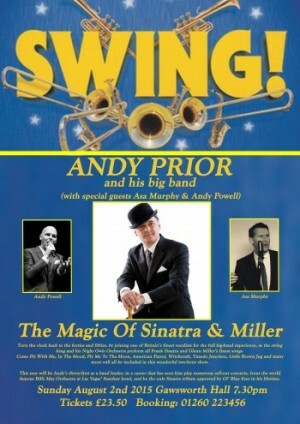 Andy is not a tribute act, a rat pack act or the UK’s number one King Of Swing like so many of today’s crooners claim to be. 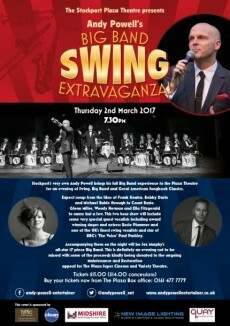 He is an all round entertainer with a passion for singing swing, jazz, soul and pop. 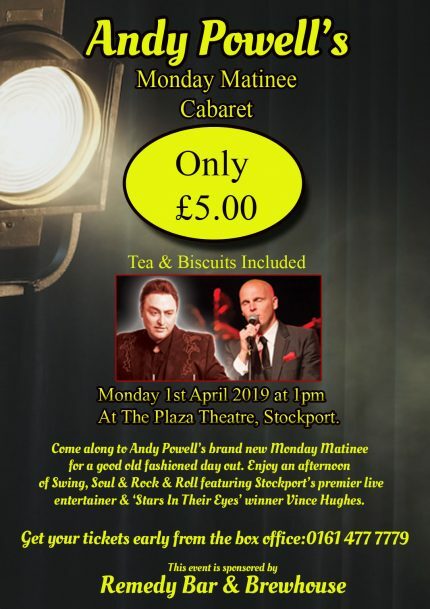 From fronting many of the Uk’s finest big bands to performing with his own soul band or just on his own, a passion to entertain and sing great songs from the standards to current chart hits is what Andy is about. A throwback to a bygone era but with a modern twist. Anybody can sing a song but not everyone can entertain. 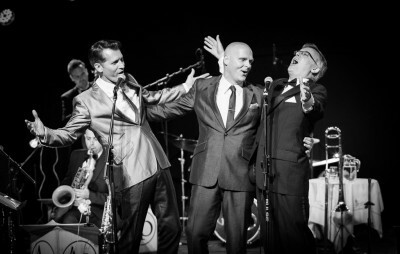 Whether your event requires unobtrusive sophistication or raucous rabble rousing, Andy Powell is the entertainer for you; he is an extremely experienced, comfortable and competent performer to large auditoriums and intimate audiences alike. 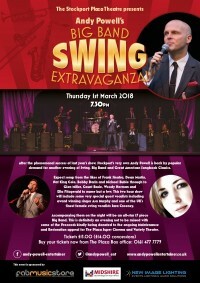 Andy has performed for and with some of the biggest names in swing and jazz, from guesting with british big band legend Andy Prior to fronting The National Festival Big Band Orchestra. 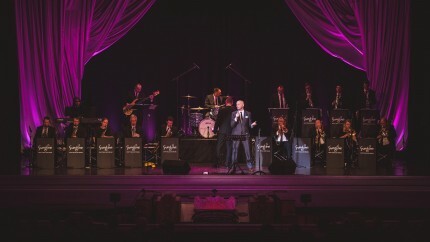 Whether playing iconic venues such as The Bridgewater Hall or opening the first evening of swing at The Ritz Hotel in London, Andy is comfortable in any situation large or small and his versatility enables him to switch from a theatre setting to a wedding or private party event, tailoring each show or set list to any occasion with the emphasis always on entertainment. Andy oozes star quality. His versatile repertoire, affable charm and warm wit enable him to forge a real rapport with people and many of his clients book him time and time again. Perhaps your event requires the skills of an accomplished compere? 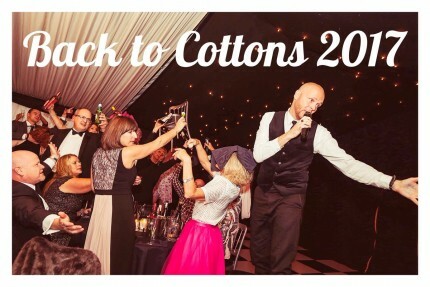 If so, Andy’s wide ranging experience as host can be brought to bear at any type of event, from weddings to black tie dinners, charity balls to theatre shows. Andy can host and hold together any kind of audience and make sure your event runs as smoothly as possible. 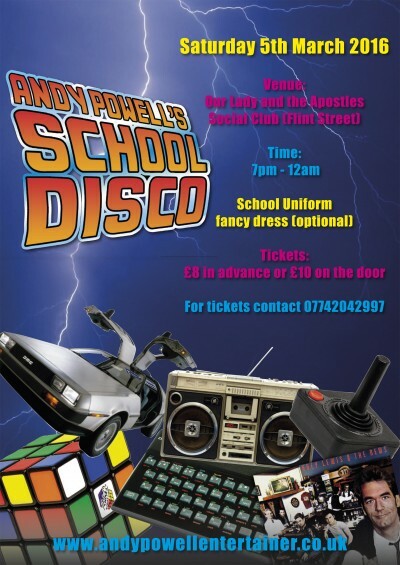 A regular match day compere at Manchester United’s ‘Theatre of Dreams’ as well Liverpool Football Club, Andy is also called upon to host many of the club’s social and corporate events as well as sporting theatre shows up and down the country. “Andy was absolutely brilliant!!! He is hands-down the best entertainer I’ve ever seen!! He’s got an amazing voice and is a great laugh. He got everyone involved from the start of the night to the end, and made it so much fun!!! So many of our guests have commented on how great he was and some have asked for his details for future parties and I couldn’t recommend him enough!!! Thanks again so much, you helped make our wedding day perfect!! !